It’s time to start breaking these habits so you can get to a cleaner home, faster. Here’s an easy way to start: Pick one or two bad cleaning habits to change each week. Soon, you’ll have a cleaner home and more free time for things you enjoy! Allowing Paper Clutter to Accumulate -Even with online billing and banking, there is still a mountain of paper that ends up in our homes. Magazines, newspapers, school papers and projects; they have a tendency to pile up. Don’t let that happen.Designate a place near the entryway for all mail, periodicals, and paper forms and keep a shredder or recycling bin close by. At least once a week, sort through and complete the needed action or toss. File important papers like tax receipts. Take digital photos of children’s special artwork or frame them for display. Share magazines with retirement homes, schools, or simply read the articles online. Leaving Wet Towels and Shower Curtains Bunched Up -Want to spend less time in the laundry room and scrubbing mildew from bathroom surfaces? Don’t leave wet shower curtains bunched up and wet towels in a heap on the floor.This is one of the simplest bad habits to break. By closing the shower curtain after each use, it will dry more quickly and discourage mildew growth. By hanging wet towels to dry, you’ll get a second or third use and lighten your laundry loads. Using Too Much Cleaning Product -If a little bit of cleaner works, then a lot of cleaner will work better and faster? Right? That’s not how it works.Using too much cleaner or laundry detergent can actually cause more harm than good. If an excess of cleaning product is not rinsed away completely, the residue becomes a dirt magnet, trapping soil. That’s why you should read directions and always use the recommended amount or even a little less. You’re wasting time and money on the extra product and the water to rinse it away. Cleaning With Dirty Tools -How can you expect clean results when you are using dirty cleaning tools? If your washer has an odor from built-up bacteria in detergent residue, your clothes are going to stink. If your vacuum bag or filter is filled with dust, it won’t do a good job sucking up any more. 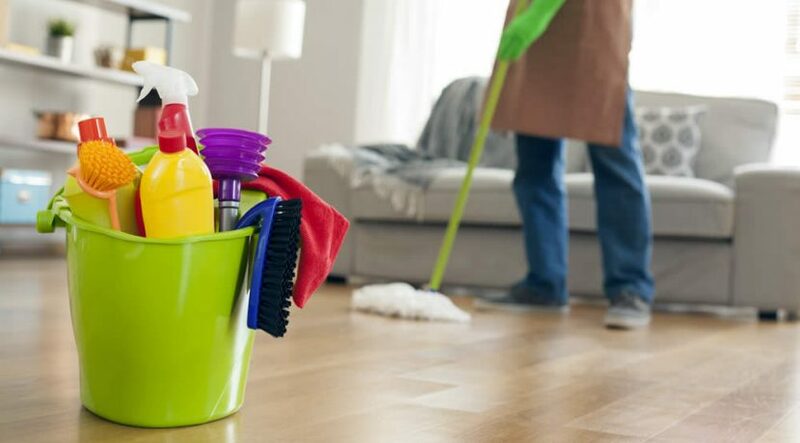 A dirty mop or sponge simply pushes around more soil and bacteria.Take the time to thoroughly clean tools after every use by emptying completely or washing in hot water and adding a disinfectant. Periodically, replace with new tools. Using One Disinfectant Wipe to Clean Entire Bathroom -Disposable disinfectant wipes are great for a quick wipe down of a bathroom sink. But that little square hardly contains enough disinfectant to clean an entire bathroom. By the time you reach the toilet seat and handles, the disinfectant qualities are gone and you are simply spreading bacteria from one surface to another.To be effective, the wipe should contain enough disinfectant moisture so the surface remains wet for at least four minutes. For a thorough cleaning, use multiple wipes or a clean cloth and sufficient disinfectant and water solution.